MIAMI — South Beach has been identified as a second site of Zika transmission by mosquitoes on the U.S. mainland, and containing it there will be difficult because high-rise buildings and strong winds make it impractical to spray the neighborhood from the air, officials said Friday. The discovery prompted the U.S. Centers for Disease Control and Prevention to announce that it was expanding its travel warning for pregnant women to include an area in Miami Beach known for nightclubs, pedestrian thoroughfares and beaches. The virus's apparent spread from a Miami neighborhood popular for day trips to the South Beach streets where many tourists sleep has rattled the tourism industry, even in the slower summer season. The CDC previously warned pregnant women to avoid the Wynwood arts district in Miami. In its statement Friday, the agency said pregnant women may also want to consider postponing nonessential travel throughout Miami-Dade County if they're concerned about potential exposure to the mosquito-borne virus. "We're in the midst of mosquito season and expect more Zika infections in the days and months to come," said CDC director Dr. Tom Frieden. "It is difficult to predict how long active transmission will continue." 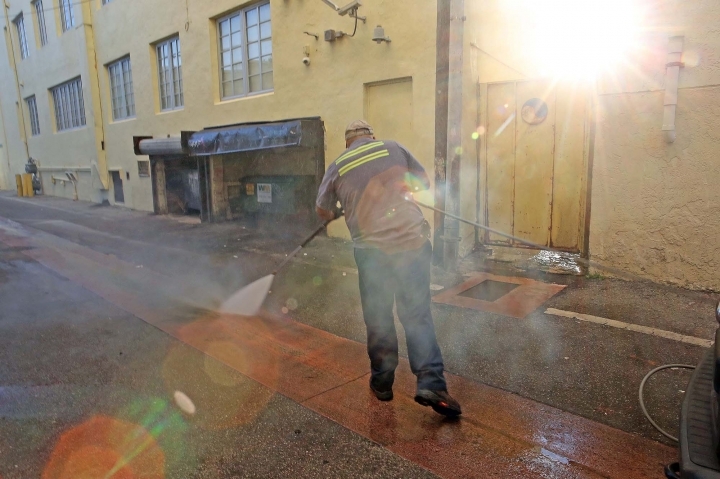 Aerial spraying and door-to-door operations on the ground have cut mosquito populations in Wynwood by up to 90 percent, but Zika may be continuing as mosquitoes breed, Frieden told reporters Friday. Aerial spraying isn't practical over South Beach because of the height of its buildings and strong winds over the narrow island city, Frieden said. Officials will be limited to spraying for mosquitoes at ground level in the highly populated area. "Miami Beach does have a series of characteristics that make it particularly challenging," Frieden said. Two of the people infected in Miami Beach are Miami-Dade County residents, and three are tourists, including one man and two women, Scott said. The tourists are residents of New York, Texas and Taiwan. 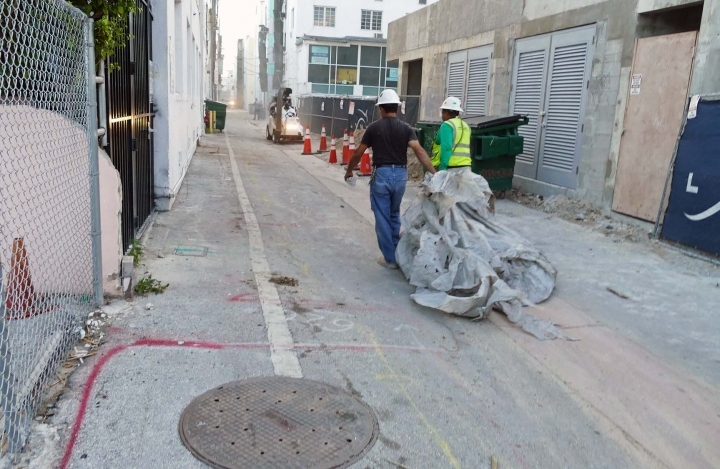 The new area of infection in South Beach is roughly 1.5 square miles between 8th and 28th streets, according to Florida's Department of Health. "Our call volume has increased significantly," Coley said. 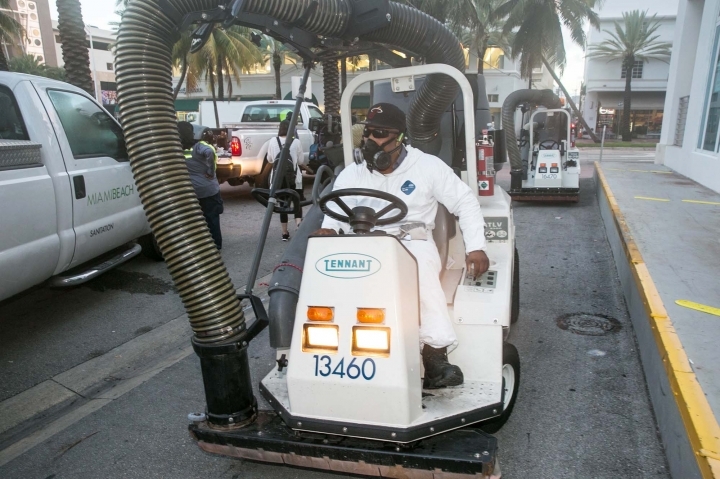 Officials at Art Basel Miami Beach and other upcoming events cautiously expressed confidence in the region's mosquito control efforts. Organizers of the Americas Food and Beverage Show will add mosquito repellent to goody bags at the late September event at the Miami Beach Convention Center. Possible infections outside Wynwood and Miami Beach also are being investigated. The virus only causes mild, flu-like symptoms in most people, making it difficult to confirm local transmissions, the CDC said. "For this reason, it is possible that other neighborhoods in Miami-Dade County have active Zika transmission that is not yet apparent," the CDC's statement said. The U.S. Senate's top Democrat issued a call for Congress to return from its weekslong summer break to deal with the virus, an unlikely scenario in light of the dysfunction that prevented lawmakers from agreeing on money to fight the mosquito-borne disease. Sen. Harry Reid, D-Nevada, said that the American people cannot afford to wait any longer for action. President Barack Obama requested $1.9 billion in emergency funds in February to develop a vaccine and control the mosquitoes that carry the virus. But lawmakers left Washington in mid-July for a seven-week recess without approving any of the money. Abortion politics played a central role in the impasse. This story has been corrected to reflect that the Health Department spokeswoman, not the governor, said officials believe mosquitoes transmitted the Zika.